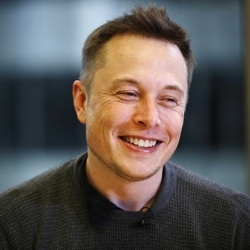 In a new interview with German newspaper Handelsblatt (via Business Insider), Tesla CEO Elon Musk spoke about his thoughts on the much-rumored Apple Car. Additionally, Musk was asked what he thought about Apple hiring away some of Tesla's "most important engineers." Musk was then asked whether he takes Apple's car ambitions seriously, to which he joked "did you ever take a look at the Apple Watch?" He went on to say that it was good Apple was moving toward and investing in a car and that it's the "next logical thing" for the company to offer "significant innovation." The Tesla CEO went on to poke fun at the newly announced Apple Pencil and iPad Pro, saying that innovation in the form of a new pencil or a bigger iPad are "not relevant enough." However, Musk cautions that cars are far more complex than smartphones and smartwatches. "You can't just go to a supplier like Foxconn and say: Build me a car," Musk told the German newspaper. Apple and Tesla have hired each other's employees over the course of the last year, with Musk saying that Apple has hired away "very few people" from the car company despite offering $250,000 signing bonuses and 60 percent salary increases to its employees. Tesla has hired nearly 150 Apple employees. Musk wouldn't be talking **** if he wasn't concerned about Apple's potential car. Makes me think he might know something that the rest of us don't about Apple's plans. Apparently, even Tesla seems to be worried. Good signs. No matter how successful Tesla is, or how great their cars are, Musk's comments display a lack of class. Holy cow. Elon Musk needs to learn to reel it in. This post made me cringe. He doesn't need to have class. Steve Jobs didn't have class. He straight out called people bozos if he didn't like them. Anyway, Musk is Tesla's boss. What do you expect him to say? Tesla is everything Apple's automotive arm wants to be. That apple watch that is selling really well. What a horrid analogy he made. With that statement, he should be worried. So let me get this straight. All the guys who left Tesla for Apple are losers and castoffs, but all the guys who left Apple for Tesla are the best of the best?